December 29, 2016, Rybinsk. 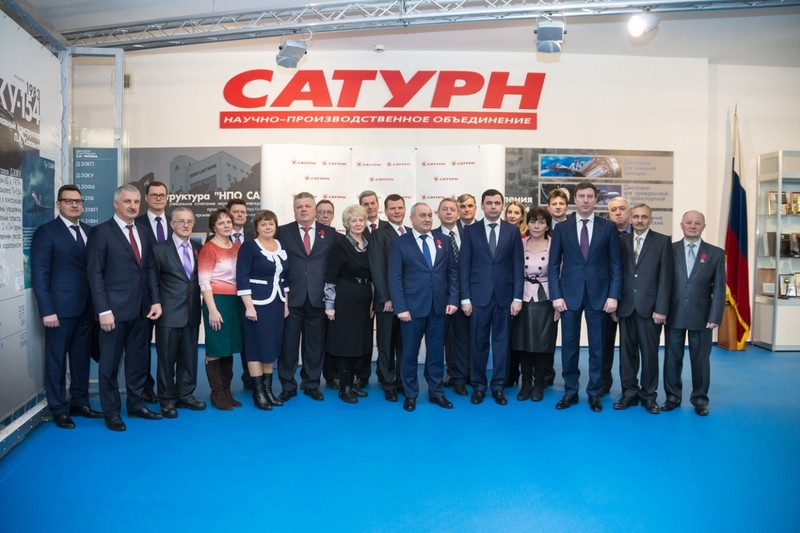 – Today Dmitry Mironov, Temporarily Acting Governor of the Yaroslavl Region, has handed out state awards to employees of NPO Saturn (a Rostec United Engine Corporation company). The ceremony took place at NPO Saturn PJSC during the extended daily meeting presided by Viktor Polyakov, Deputy General Director - Managing Director of NPO Saturn. The event was attended by Sergey Kulikov, Industrial Director of Rostec State Corporation, Sergey Sakhnenko, Project Leader of Rostec State Corporation, Dmitry Stepanenko, Chairman of the Government of the Yaroslavl Region, Maxim Avdeev, Deputy Chairman of the Government of the Yaroslavl Region, Denis Dobryakov, Head of the Urban District Rybinsk, top managers of NPO Saturn. December 12, 2016, Rybinsk. 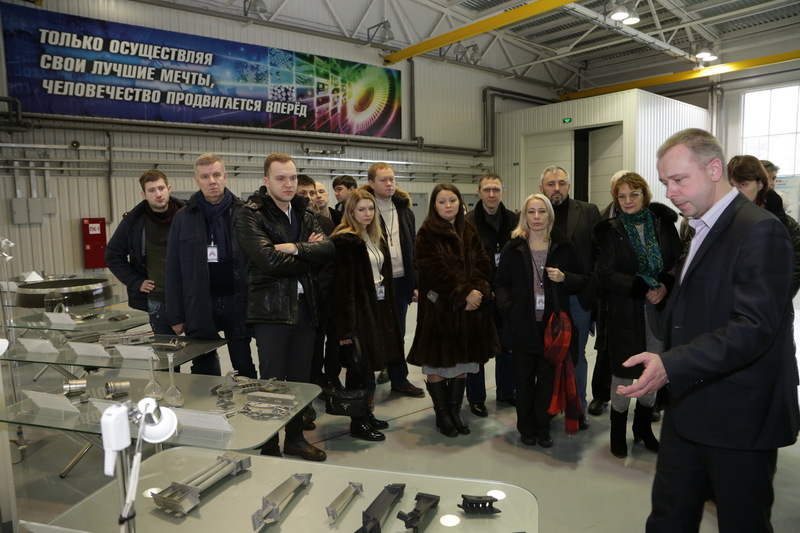 The final module of the "Open Innovations and Corporate Venture Tools" educational program was held from 9 to 10 of December, 2016 at the Training Center of NPO Saturn (a part of United Engine Corporation JSC, a Rostec State Corporation company). The educational program was organized by JSC Russian Venture Company together with the Moscow Aviation Institute and CompMechLab in order to ensure a comprehensive understanding of the venture market and gain a practical experience in innovation management through work with specific profile innovation projects. Representatives of UAC PJSC, USC (United Shipbuilding Corporation) JSC, Concern Almaz -Antey JSC, Rostelecom PJSC, KAMAZ PJSC, LG Electronics, RusHydro PJSC, PJSC ROSSETI, ROS AGRO PLC, etc. took part in the program. December 9, 2016, Rybinsk. An official session of the TechNet Corporate Accelerator program of GenerationS, a federal technology start-up contest, was opened on December 8, 2016 at NPO Saturn PJSC's Training Center. The SPBU Institute of Advanced Manufacturing Technologies (IAMT) and StartupSamara are the partners and operators of the accelerative program. NPO Saturn has been GenerationS’s industrial partner for the second year in a row. This year, technology directions of project selection have been formed by the NTI jointly with the "TechNet" workgroup. 593 applications were filed in these directions before October 15, 2016 and 201 of them were the projects at the "with prototype" stage. December 5, 2016, Rybinsk - On December 5, 2016 canteen #18 of NPO Saturn's Food Production Facility LLC was opened for the engine-builders and visitors of the company after reconstruction in shop #49.